We all know that speed isn’t everything… but you have to agree it’s one of the more major considerations when hunting down the best of the best. And while we’re being honest, fast supercars are a guilty pleasure for the majority of car enthusiasts. But these high-performance cars aren’t just fun to drive, they’re the fastest production vehicles in the world. Well the statistics are in and we now know the speediest vehicles of the modern era. Rather than looking at custom makes or sceptical claims, we’ve limited the list to the MPH speeds widely recognised and proven. 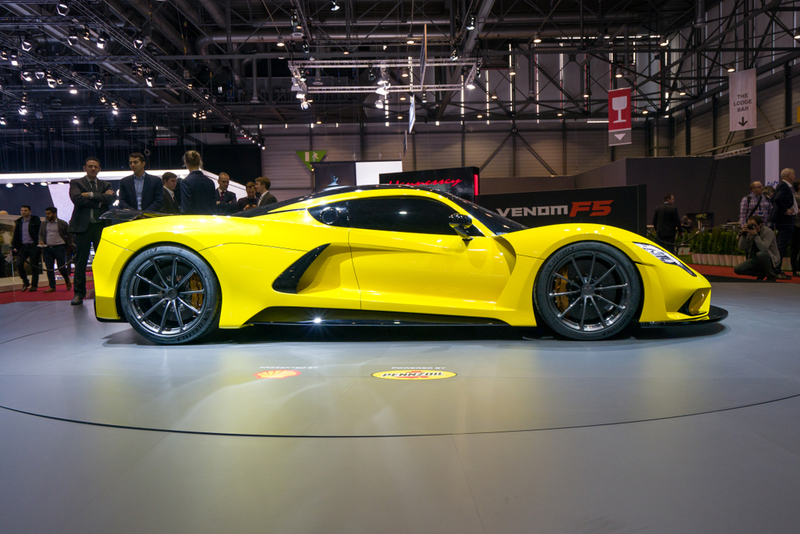 Revealed in November 2017, the Hennessey Venom F5 is not only the fastest car in the world, it is also one of the sexiest models (debatable, of course). How did they do it? 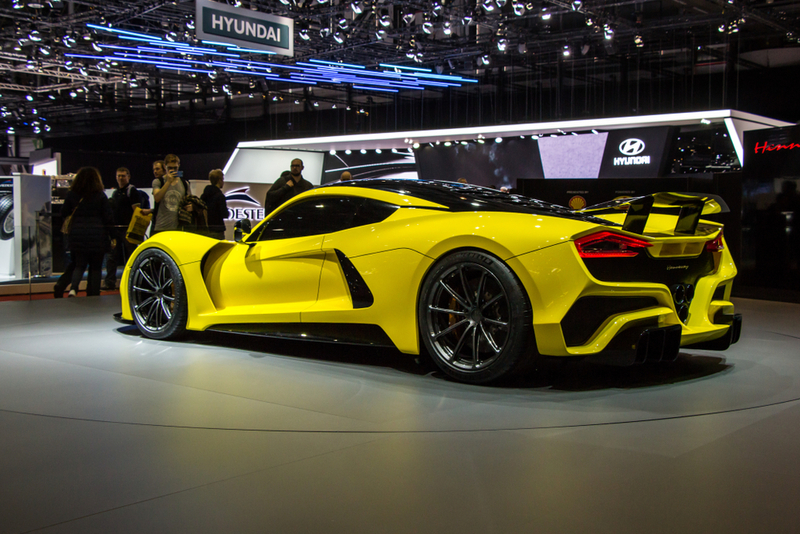 They started with a brand new 2,950-pound carbon fibre chassis and added a 1,600-hp twin-turbo V8. 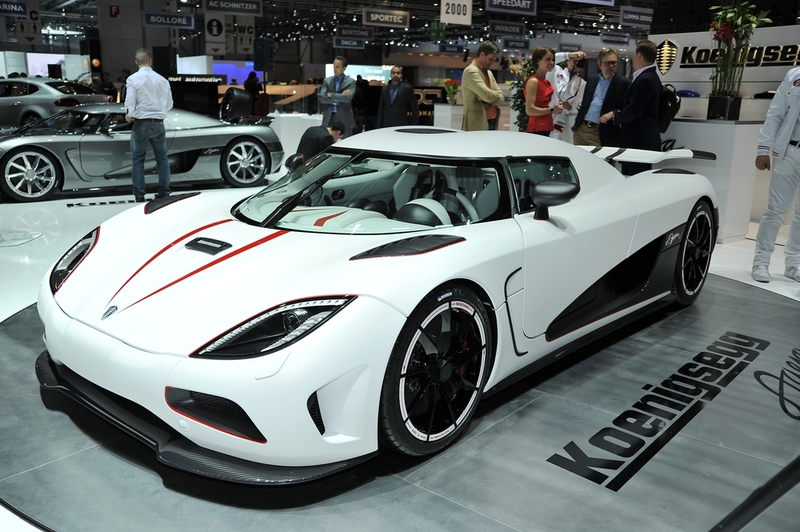 Although not considered a well-known, household name in the world of supercars, this Koenigsegg model is changing that. Fast (pun intended). This machine also takes the cake when it comes to fastest acceleration, reaching speeds from 0 to 186 MPH within 11.7 seconds. At a cool £1.1million, we recommend it in red. Having the fastest car in the world wasn’t enough for the Hennessey team, they had to go and take out third position as well. Packing a 7.0 litre twin-turbocharged V8 engine, the Venom GT has an impressive horsepower of 1,244 and is capable of going from 0-62 MPH in 2.8 seconds. Not bad at all. Now a solid fourth, the Bugatti Veyron held top position for fastest car in the world for years before being overtaken by just a few newer models. This vehicle was the very first to exceed speeds over 250 MP, an impressive achievement not to be underestimated. This model stands out for it’s luxurious, comfortable design and effortless speed. The myth. The legend. 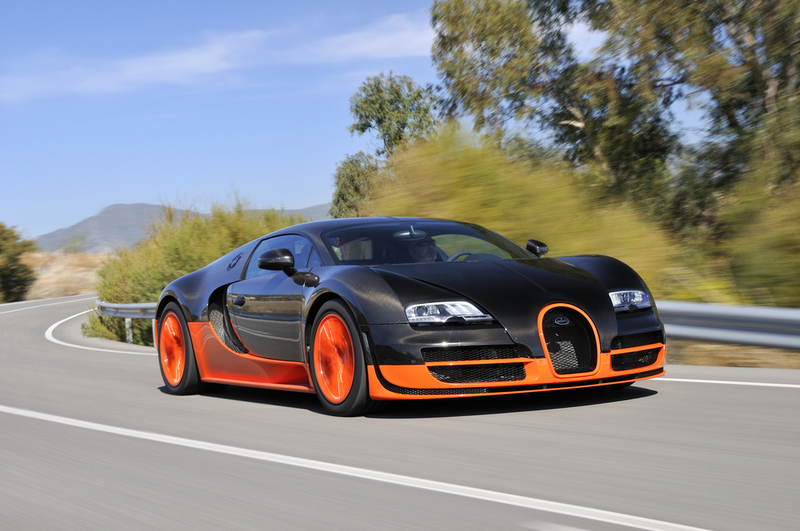 Bugatti is world-renowned for their supercars with the biggest names in the car industry – including Top Gear Presenter James May – favouring the outstanding range. 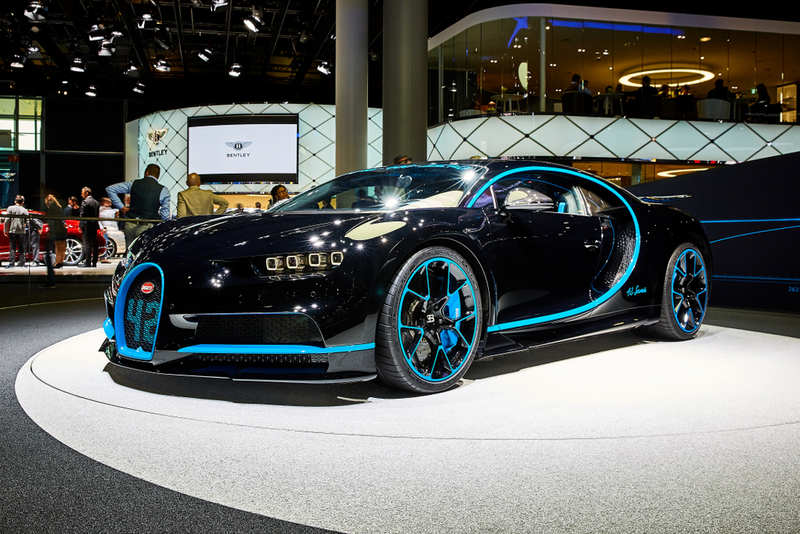 Only 500 Bugatti Chiron’s were released in the first generation at a jaw-dropping $3 million. Prestige Car Hire’s fleet offer some of the most luxurious, street-legal cars in the world, available right now for a weekend or longer. Treat yourself with one of our Ferrari, Porsche or Mercedes vehicles. Prefer something that really gets the heart racing? The Lamborghini Huracan 580-2 Spyder or the McLaren 570s Spider are in high demand and certain to satisfy those speed cravings.